The number of firms with exposure worth Rs 9,700 crore to toxic bonds was revealed by the supplementary affidavit submitted on behalf of the appellants on April 8 before the National Company Law Tribunal. New Delhi: A hapless government slap bang in the middle of getting re-elected needs to be prepared for a harsh backlash in the eventuality that it returns to power. A vast multitude of white and blue collared salaried employees will be waiting to ask challenging questions of the new government. The Infrastructure Leasing and Financial Services (IL&FS) contagion is now a full blown pandemic. But the extent of the malaise finally has a fix and the numbers are staggering. 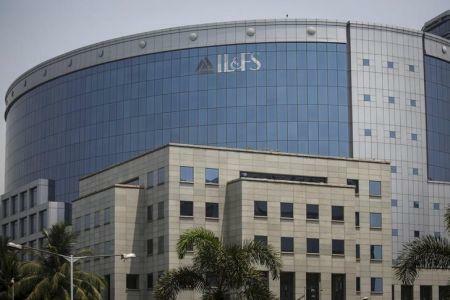 As many as 1,400 entities across the length and breadth of the country have a total exposure of a staggering Rs 9,700 crore with lakhs of employee provident and pension funds stuck in a lemon called toxic IL&FS bonds. The list is a veritable who's who of India Inc – public sector heavy hitters and a wide variety of corporates and entities, such as the Army Group Insurance Fund and many more. Suffice to say that working class savings are involved and while the matter is with NCLAT (National Company Law Appellate Tribunal), there is no way that IL&FS or the government is in a position to return this money since the companies involved have gone belly up. Moreover, the bonds in question had a 'AAA' rating till September 2018 before the company came under the bus. It is a piquant situation and with a new government on its way on Raisina Hill, pertinent questions will be asked. The tribunal, which meets again on April 16, may well be keen to release at least some of these payments that are due to the employee provident and pension funds. The two-member bench stated: "How many companies are there who have provident funds and pension funds? You release them. We want that released first."